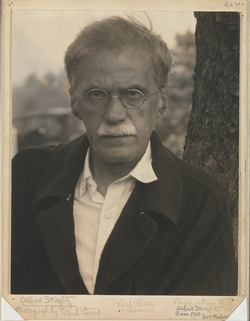 “Stieglitz, Steichen, Strand” is our destination this week in NYC. An early Christmas present indeed. For a preview guide please read the article by Ariella Budick in today’s Financial Times then take the time to look at the the online catalog of the Met exhibit. insisting on sharp focus with no visible retouching, and commanding a kind of latent abstraction from his followers. With the fanaticism of a new convert, he condemned the manipulated print for its fraudulence and artificiality. The exhibit runs now through April 10, 2011.